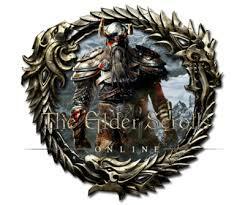 Greedy Dwarf offers for sale Gold Euro servers TESO ESO The Elder Scrolls Online. The order can be issued at the top right, it is necessary to introduce the required amount for purchase. And also choose the payment method that suits you WoW Gold. Also you can find us: Teso GOLD, Gold Teso, buy GOLD TESO, buy TESO GOLD. Note before ordering, be sure to check the availability of game currency. DELIVERY: For reservation, please contact us to inform the operator about the order. Delivery of the order takes from 5 minutes to 12 hours after the treatment to a counselor and your willingness to receive the order. Remember that the service of buying and selling game currency available at your own risk. Sama buy game currency is forbidden game rules and game projects administration has the right to take your purchased game currency or even block your account. By purchasing this product, you hereby agree to these rules and should be aware of this.